"For sale: crumbling building in southern Italy. Asking price: 1 euro. In the drowsy heat of an Italian summer, three strangers arrive in Montenello, a beautiful hilltop town. Each has agreed to buy a crumbling historic building for a single euro - and each is dreaming of a new a... read full description below. 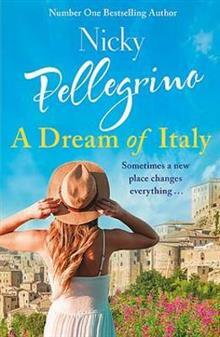 Nicky Pellegrino is a Number 1 bestselling author and has written ten fabulous novels. Her inspiration comes from her Italian heritage. When her Italian father came to England he fell in love with and married a Liverpool girl. He brought to his new family his passion for food and instilled in them what all Italians know - that you live to eat instead of eating to live. This Italian mantra is the inspiration behind Nicky's delicious novels. Every summer the family left their home in Merseyside and returned to her father's home town, near Naples, in southern Italy. When Nicky met and married a New Zealander she moved to Auckland where she works as a journalist and edits a women's magazine. She hoards her annual leave so that she and her husband can return to Italy to meet up with her family and to eat the best mozzarella and research her books.